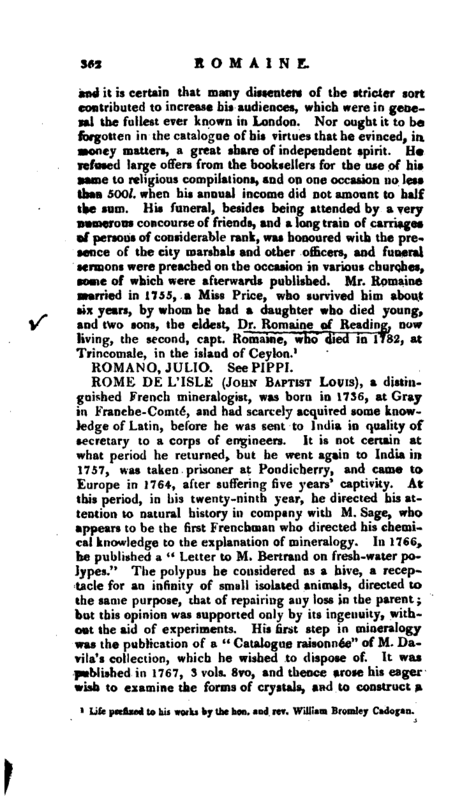 , a distinguished French mineralogist, was born in 1736, at Gray in Franche-Comte, and had scarcely acquired some knowledge of Latin, before he was sent to India in quality of secretary to a corps of engineers. It is not certain at what period he returned, but he went again to India in 1757, was taken prisoner at Pondicherry, and came to Europe in 1764, after suffering five years’ captivity. At this period, in his twenty-ninth year, he directed his attention to natural history in company with M. Sage, who appears to be the first Frenchman who directed his chemical knowledge to the explanation of mineralogy. In 1766, he published a “Letter to M. Bertrand on fresh-water polypes.” The polypus he considered as a hive, a receptacle for an infinity of small isolated animals, directed to the same purpose, that of repairing any loss in the parent; but this opinion was supported only by its ingenuity, without the aid of experiments. His first step in mineralogy was the publication of a “Catalogue raisonnee” of M. Davila’s collection, which he wished to dispose of. It was published in 1767, 3 vols. 8vo, and thence arose his eager wish to examine the forms of crystals, and to construct a | system on this plan. 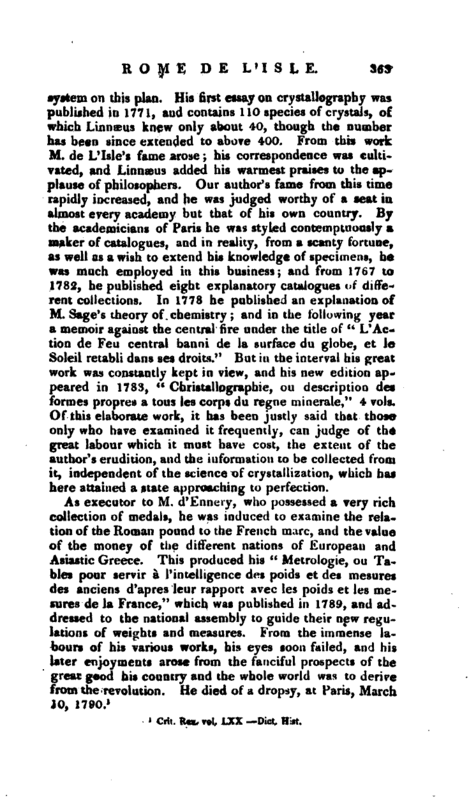 His first essay on crystallography was published in 1771, and contains 110 species of crystals, of which Linnæus knew only about 40, though the number has been since extended to above. 400. From this work M. de L' Isle’s fame arose his correspondence was cultivated, and Linnæus added his warmest praises to the applause of philosophers. Our author’s fame from this time rapidly increased, and he was judged worthy of a seat in almost every academy but that of his own country. 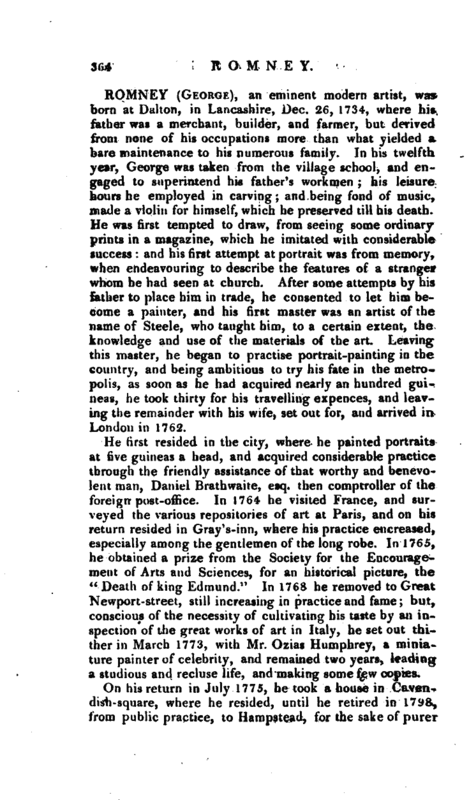 By the academicians of Paris he was styled contemptuously a maker of catalogues, and in reality, from a scanty fortune, as well as a wish to extend his knowledge of specimens, he was much employed in this business; and from 1767 to 1782, he published eight explanatory catalogues of different collections. In 1778 he published an explanation of M. Sage’s theory of chemistry; and in the following year a memoir against the central fire under the title of “L’Action de Feu central banni de la surface du globe, et le Soleil retabli dans ses droits.” But in the interval his great work was constantly kept in view, and his new edition appeared in 1783, “Christallographie, ou description des formes propres a tons les corps du regne minerale,” 4 vols. Of this elaborate work, it has been justly said that those only who have examined it frequently, can judge of the great labour which it must have cost, the extent of the author’s erudition, and the information to be collected from it, independent of the science of crystallization, which has here attained a state approaching to perfection. Crit. Rev. vol. LXX —Dict. Hist.